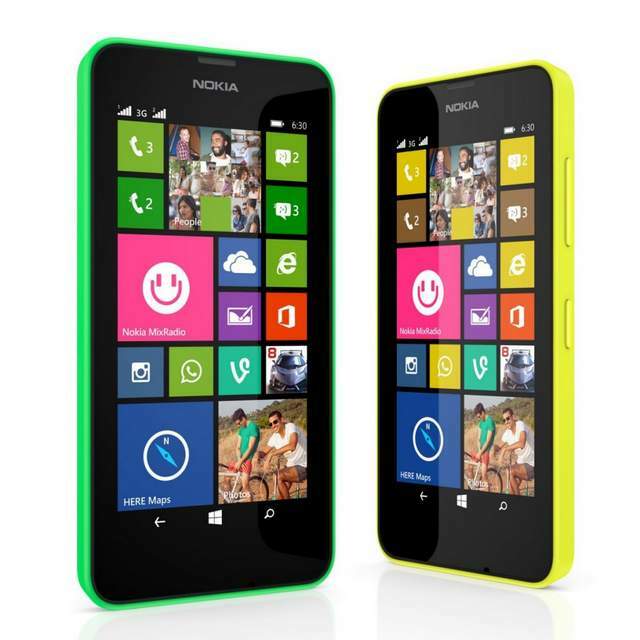 Nokia has announced there latest windows smartphones the Nokia Lumia 635 and Nokia Lumia 630 dual SIM. The New Nokia Lumia 630 comes with entry level specs and is priced under US $170. The phone comes in two variants, Single SIM and DUAL SIM. The phone supports 3G and lacks LTE 4G supports unlike Nokia Lumia 635. The Nokia Lumia 630 draws the strength from 1.2GHz snapdragon 400 CPU coupled with limited 512MB of RAM. The Low RAM in the handset would be the main disappointment. It has 8 GB internal storage with micro SD card support. On the Front of the phone, there is 4.5 inch 854 x 480 pixels FWVGA Display, protected with Gorilla Glass 3. Also it is the first Windows smartphone which has on screen buttons (virtual ) instead of capacitive buttons. It packs with 5MP primary shooter with Sensor Core support. The Nokia Lumia 630 is priced at $159 for SIngle SIM variant and $169 when it ships with DUAL SIM. It comes in Green, White, orange, black and yellow colors.